OK: here’s the scenario. 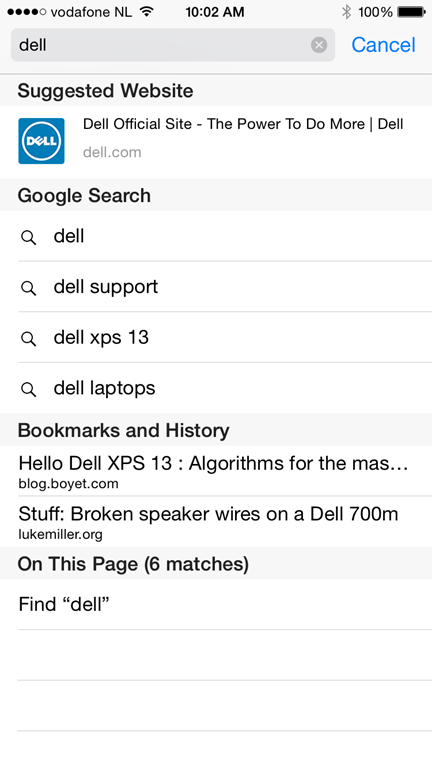 You’ve just loaded a long text-heavy web page on your iPhone or iPad and want to search through it for a particular word or phrase. How do you do it? 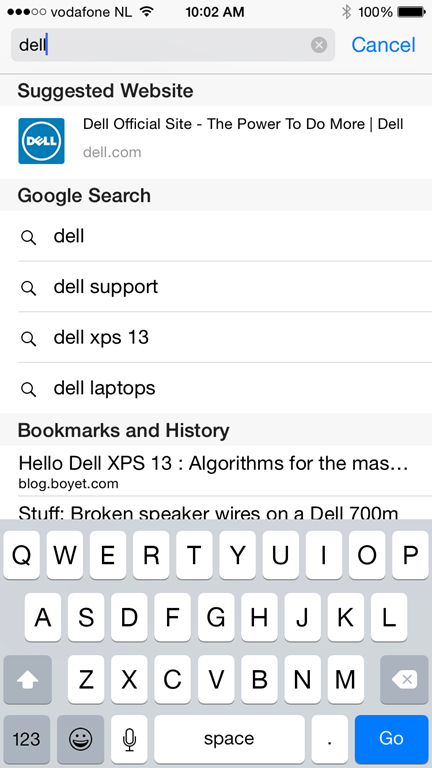 The problem is that the user interface no longer has a Search box on the screen in iOS7, unlike earlier versions of Safari. Similarly, there’s nothing in the browser’s underlying menu or options. How can I search this text? The solution, believe it or not, is to use the address box. No, really, bear with me. If you type in the word you are searching for in the page, Safari will first display some hits for the word on the web (perhaps including, as here, a suggested website), plus perhaps some items from your surfing history or in your bookmarks. Scroll the list up, the keyboard goes away, and there it is: a subheading of “On This Page” and an item that allows you to locate the matches on the web page you have loaded. 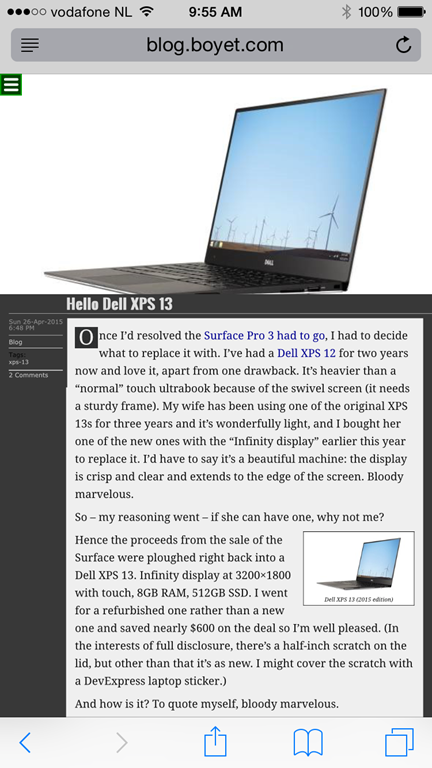 Touch that and the page is shown in a way that the text matches are highlighted and you have arrows to touch that’ll skip through the results back and forth. Yep, a quick post, but it came up yesterday and it took a bit of sleuthing to find the answer (a lot of results are for versions earlier than iOS7, which did have a Search box in Safari).